Don joined the Fund in July 2014 as the Director of Risk Management. He is responsible for overseeing the loss control & risk management functions of the Fund and is heavily involved in loss control & risk management for the Fund’s Cross Border program. He holds the Certified Director of Safety (CDS) designation through the North American Transportation Management Institute (NATMI) and has been designated as a Certified Behavioral-Based Ergonomic Specialist (CBES). Prior to joining the Fund, Don worked for more than 20 years as a consultant and resource in the risk management divisions of two large, standard market insurance companies that focused on both guaranteed cost and high-deductible workers’ compensation programs across the US. He was responsible for establishing loss control policies and procedures, as well as developing underwriting guidelines for prospective risks. 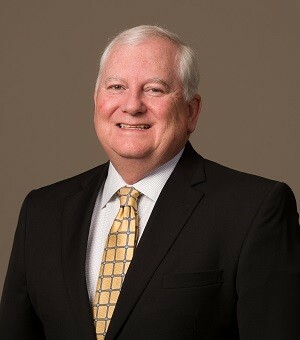 Don was instrumental in the development of high-deductible models and risk management techniques focused on safety culture and involvement of upper management. He is a 1988 graduate of Auburn University with a Bachelor of Science degree in Business Administration. He currently resides in Montgomery, Alabama, and enjoys golf, traveling, Auburn football, tailgating with friends and family and showing off his talents on his Big Green Egg.